select *, DATE_FORMAT(birthday, "%b %e, %Y") as _birthday, DATE_FORMAT(died, "%b %e, %Y") as _died, MONTH(birthday) as month_birth, DAY(birthday) as day_birth, DATE_FORMAT(birthday, "%b %e") as _birth_day_month from agatti_people where agatti_people.u_name = "thelma-ritter"
Shares birthday with Jack Benny, Edward Platt, Vic Morrow see more.. 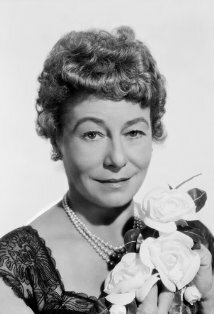 Legendary character actress, Thelma Ritter, was born on Feb 14, 1902 in Brooklyn, NY. 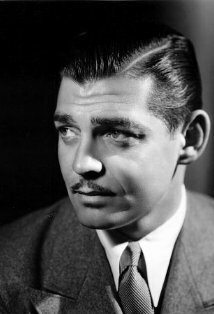 Ritter appeared in over 40 film and TV roles. 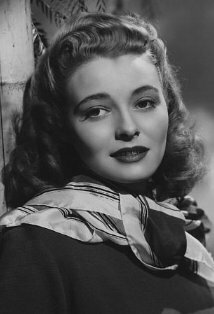 Her best known films include All About Eve, The Mating Season, Rear Window, Pillow Talk, Birdman of Alcatraz, A New Kind of Love, Pickup on South Street, Titanic, The Misfits and How the West Was Won. Ritter died at the age of 67 on Feb 5, 1969 in New York, USA and was cremated and her ashes given to family or friend. Thelma Ritter was born on February 14th, 1902 into a comfortable home in Brooklyn, New York. As a child Ritter proved to be a natural performer and by the eight was already performing for her family and friends at P.S 77 with monologues from Mr. Brown Gets His Haircut and The Story of Cremona. She continued to act into her high school years, gaining lead roles while attending Forrest Hill High School. After graduating high school, Ritter went on to act in stock companies before being accepted in to The American Academy of Dramatic Arts. After graduating she began working with varying stock companies, mainly through out New England. In 1926 Ritter made her Broadway debut with a small role in the comedy The Shelf. While working with a company in New Jersey, Ritter met her future husband, Joseph Moran, whom she would marry in 1927. The couple continued to act on the stage with neither of them making much of an impact. Moran eventfully left acting to work in the advertising industry while Ritter took a brief hiatus when her children were born. She eventually returned to acting in 1940. Although she worked with some stock theatre groups, she mainly found herself working in radio. She appeared in popular shows such as Big Town, Mr. District Attorney and read for the Theater Guild on the Air. Ritter entered the world of Hollywood relatively late in life when, at the ripe old age of 44, when her old friend, director Seaton offered a small role in Miracle on 34th Street. 20th Century-Fox head was impressed with her scene (the only one that she was in) that he insisted her role be expanded. After gaining a surprising amount of critical praise for her uncredited role, Joseph L. Mankiewicz wrote her into his 1949 film A Letter to Three Wives. The next year Ritter final received the screen credit she deserved in the New York based crime drama City Across the River. That same year she appeared in the spots comedy Father Was a Fullback. After working with Ritter in A letter to Three Wives, Mankiewicz was eager to cast Ritter in a more substantial role. In 1950 he cast along side Bette Davis, George Sanders, and Celeste Holms in All About Eve. In the film Ritter plays Birdie, a retired Vaudeville actress turned personal assistant to Broadway superstar, Margot Channing, played by Bette Davis. The film helped to establish her on-screen persona as the tough talking but well-meaning confidant who is unafraid to give to the hard-truths to those she loves. For her work, Ritter was nominated for a Best Supporting Actress Academy Award. She received her second Academy Award nomination for her follow up film, the comedy The Mating Season, appearing with Gene Tierney and John Lund. In1952 Ritter would go on to gain her third Best Supporting Actress nomination in a row for her role in the musical bio-picture, With a Song in My Heart. The next year Ritter would go on to gain a forth nomination for her work in the Samuel Fuller film-noir Pickup on South Street opposite Richard Widmark and Jean Peters. 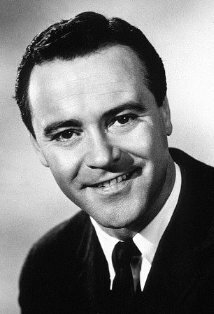 Ritter's success as one of Hollywood leading character actors continued into the mid-1950s. 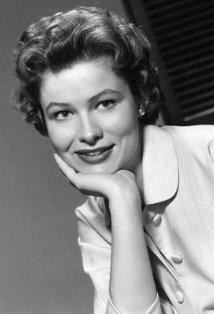 In 1954 she was featured in one her best remembered roles in Alfred Hitchcock's Rear Window. In the film, she plays Jimmy Stewart's wisecracking but wise maid, Stella. Throughout the film she acts as its of moral center, becoming the little bird in casting doubt in Stewart's paranoid mind. Although she failed to receive another Academy Award nominations or the role, it remains one of her most memorable. Later that year Ritter decided to give the growing medium of television a go and made her small screen debut in Lux Video Theater. In 1955 she played another wisecracking Character role in the Fred Astaire musical Daddy Long Legs before returning to television with Goodyear Playhouse. For the rest of the decade continued to work on both TV and film. In 1955 she appeared on two popular television series The Philco-Goodyear Television Playhouse and 20th Century-Fox Hour while also playing a supporting role in the Robert Parrish drama Lucy Gallant with Jane Wyman, Charlton Heston, and Claire Trevor. The next year she again worked on two series, Alfred Hitchcock Presents and The Christophers while making an appearance on the big screen with The Proud and Profane. In 1957 she returned to her native land of New York for her first love, the stage, appearing in the Broadway hit New Girl in Town. The play was a great success both with critics and audiences, lasting over 400 performances. The play would go to be nominated for a Best Musical Tony award and Ritter, for her efforts, would go to win the 1958 Best Actress in a Musical Tony Award. The next year she returned to Hollywood to appear in two films, A Whole in the Head and Pillow Talk with Doris Day and Rock Hudson. For the latter film, she would receive her fifth Academy Award nomination for Best Supporting Actress. Ritter remained as busy as the new decade rolled in. In 1961 she appeared in John Huston's modern western The Misfits, along with Clark Gable, Marilyn Monroe, and Montgomery Clift. The next year she appeared in John Frankenheimer's Birdman of Alcatraz. The film she played the obsessive mother to Burt Lancaster, playing the titular role of Robert Franklin Stroud. For her work, Ritter was nominated for her sixth and final Best Supporting Actress Academy Award, although she did not win. To this day, Ritter shares the record with Deborah Kerr and Glenn Close for actresses with the most Oscar nominations without taking home the coveted piece of gold. 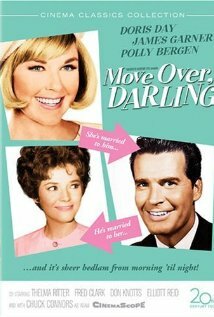 The next year Ritter worked on three films For Love or Money, A New Kind of Love, and Move Over Darling. Two years later she was nominated for the Golden Globe for Best Supporting Actress for her as Bertha role in the Jerry Lewis comedy Boeing Boeing. She made her final big screen appearance in the George Seaton comedy What's So Bad About Feeling Good?. That same year she made television appearance on The Jerry Lewis Show, two weeks before her death. Thelma Ritter died on February 5th, 1969 of a heart attack in her New York City home. She was 66 years old. Although Ritter was nominated for six Oscars, she never won a competitive Academy Award. Sadie: The cap's out. Makes me look like a lamb chop with pants on. Sadie: Look, I don't teach you about teachin'. Don't teach me about ducks. Her first Oscar nomination for All About Eve (1950) marks her first of 4 consecutive nominations, a feat she shares with Jennifer Jones (1943-46), Marlon Brando (1951-54), Elizabeth Taylor (1957-60) and Al Pacino (1972-75). Greer Garson has five consecutive nominations (1942-46). In Italy, throughout her career, she was dubbed by different actresses: Rina Morelli (e.g. Pickup on South Street (1953)) , Tina Lattanzi (e.g. Daddy Long Legs (1955)) , Wanda Tettoni (e.g. Pillow Talk (1959)) , Lia Orlandini (e.g. How the West Was Won (1962)) and Franca Dominici (e.g. Rear Window (1954)) . The talented Maria Saccenti lent her voice to Ritter only once: in All About Eve (1950).